Having a singular, soaking tub inside your master bathroom add an extra bit of luxury that you didn’t know you always needed. Bubble baths in the evening will get punched up a notch with any one of these standalone beauties. 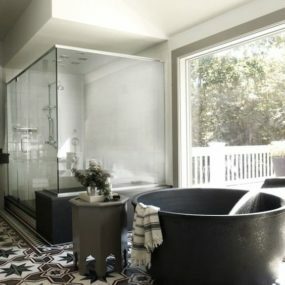 If you’re revamping, building or just daydreaming about your perfect home, any one of these 20 soaking tubs will provide the right amount of inspiration. 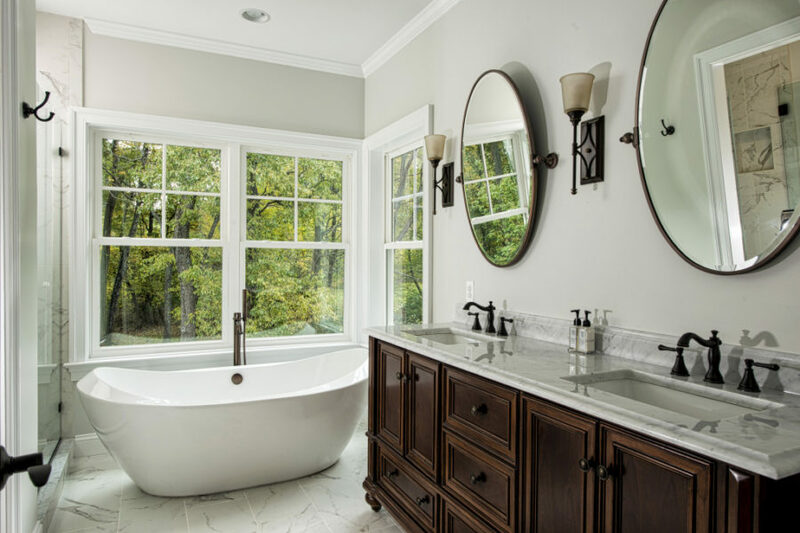 Common Wealth Home Design starts us off with a traditional master bathroom full of all the essentials including a beautiful, simplistic soaking tub by the windows. 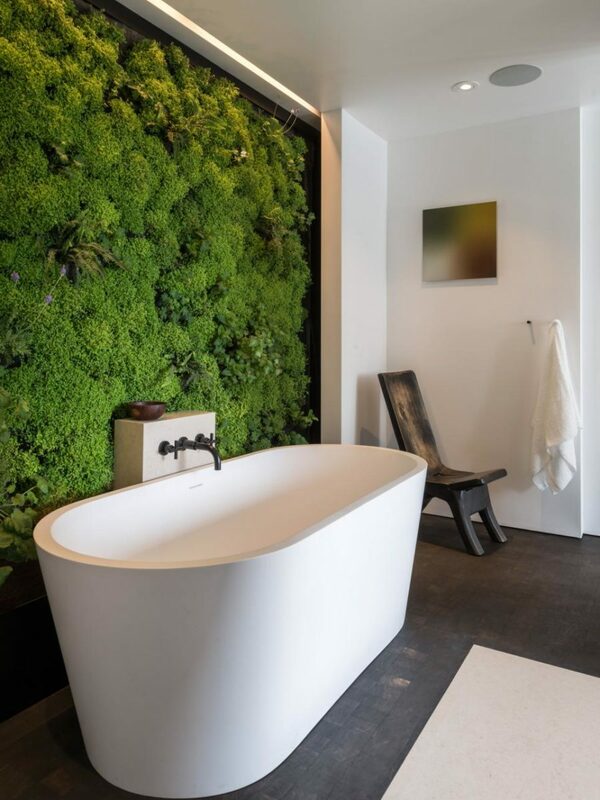 We love all the natural lighting and how you can enjoy a bubble bath with a view. Home Stratosphere brings a bit of subtle, girlish glam to this bathroom. At its focal point is a beautiful, elongated soaking tub that just happens to be filled with welcoming bubbles and flower petals. We also love the his and her sinks and the extra-lengthy illusions of the space made better by the mirror, window and glass shower. HGTV showed off this cottage-themed bathroom and we instantly fell in love with its easy charm. 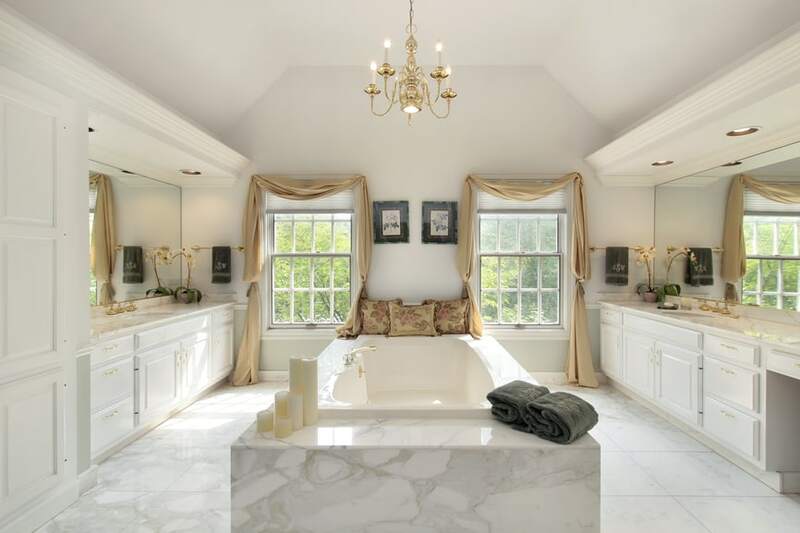 But the extra-large soaking tub is what, of course, had our main attention here. 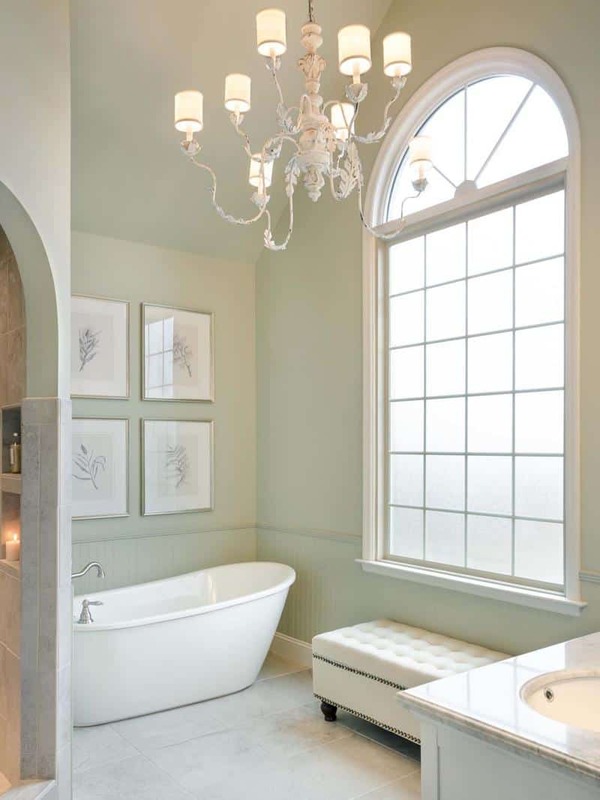 The white blends well with the subtle greens creating a relaxation atmosphere for your evening baths. 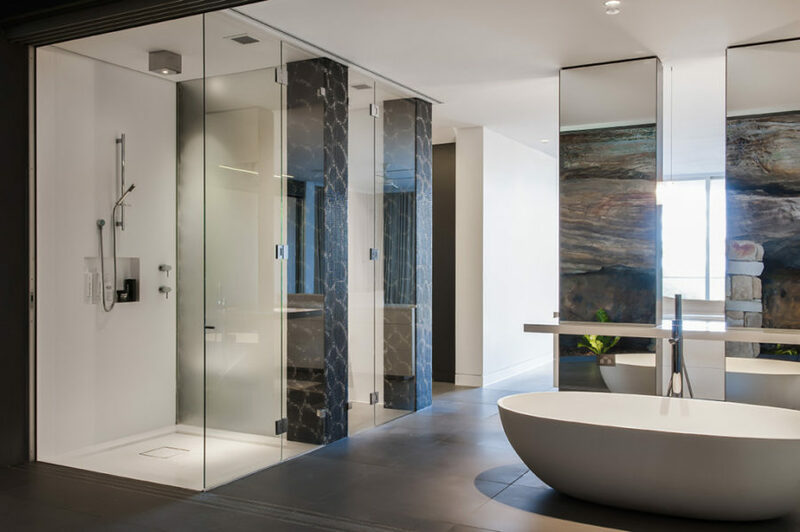 If you a want a more modern bit of inspiration than check out this bathroom from Divine Design + Build. 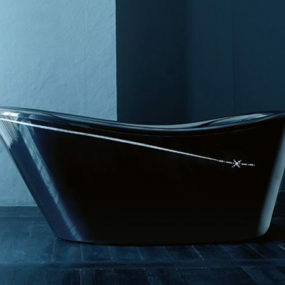 The tub has sharper edges fitting the more clean and crisp feel of a contemporary space. 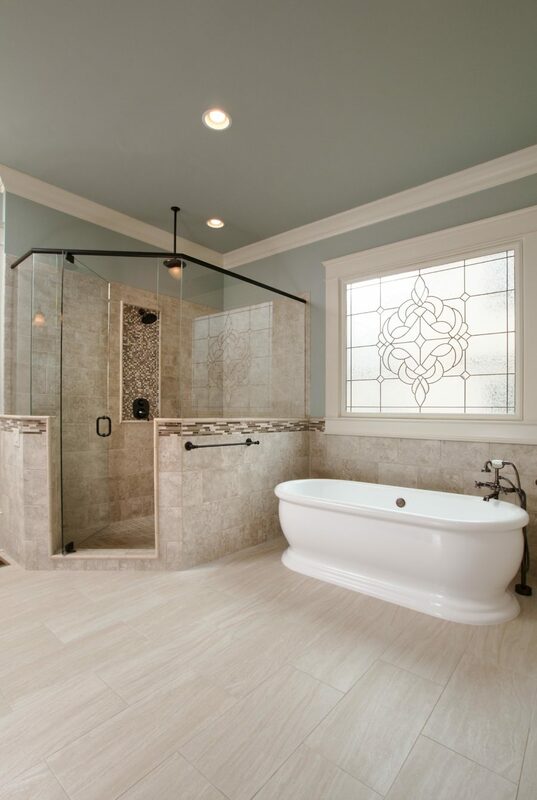 The marble shower and the chic hardwood floor blend both traditional and modern styles nicely as well. 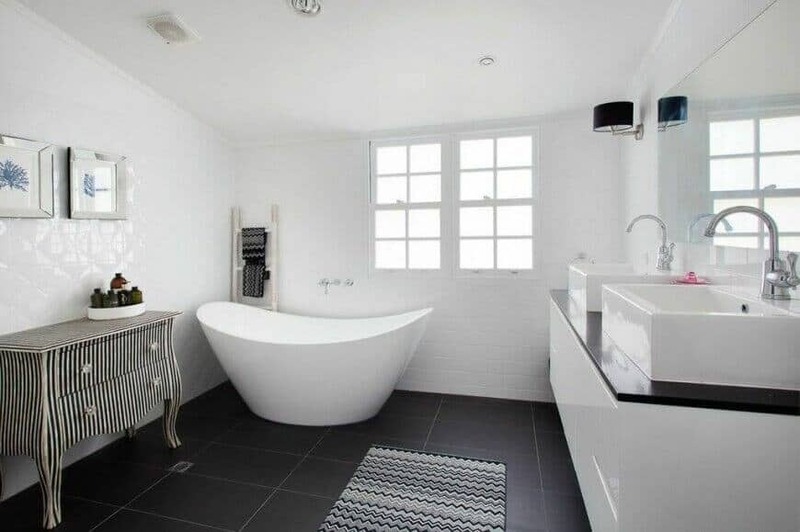 Check out this soaking tub and how it fits nicely inside the shower! If you’re looking for a bathroom that has everything you need but set in a smaller space then this is the design to gather inspiration from. Just visit HGTV for the rest of the details. House Beautiful shows off another sweet little bathroom nook that’s filled with the perfect spot to rest, relax and clean off the day. There’s definitely a charming, cottage vibe surrounding the nook. But there’s also a contemporary addition to the mix. While you relax in the tub, you can watch your favorite show with that small TV hanging on the wall. How luxurious! HGTV housed this super trendy and spacious bathroom that includes his or her sinks, vanities and separate shower entries. 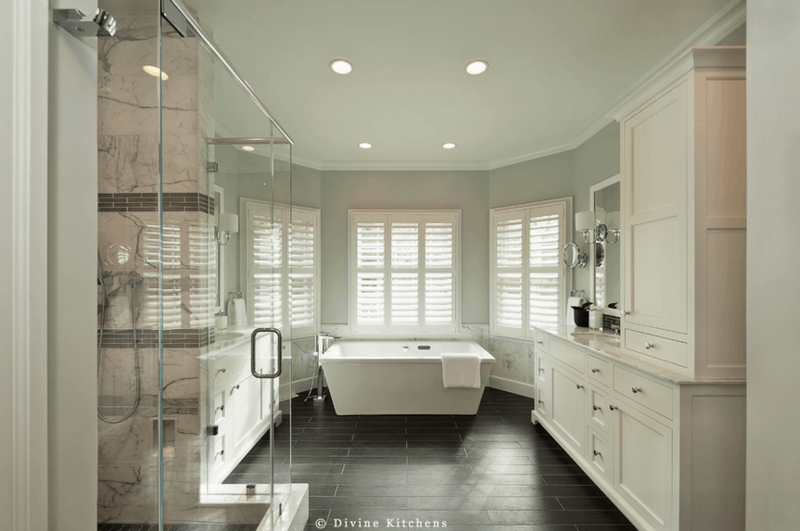 It’s just a stylish space but provides all the function and necessity that a master bathroom should offer. 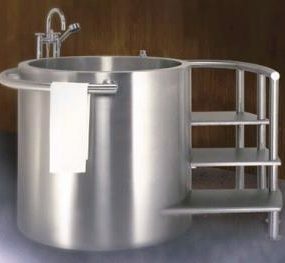 And check out that divider right down the center, a soaking tub for both to enjoy. 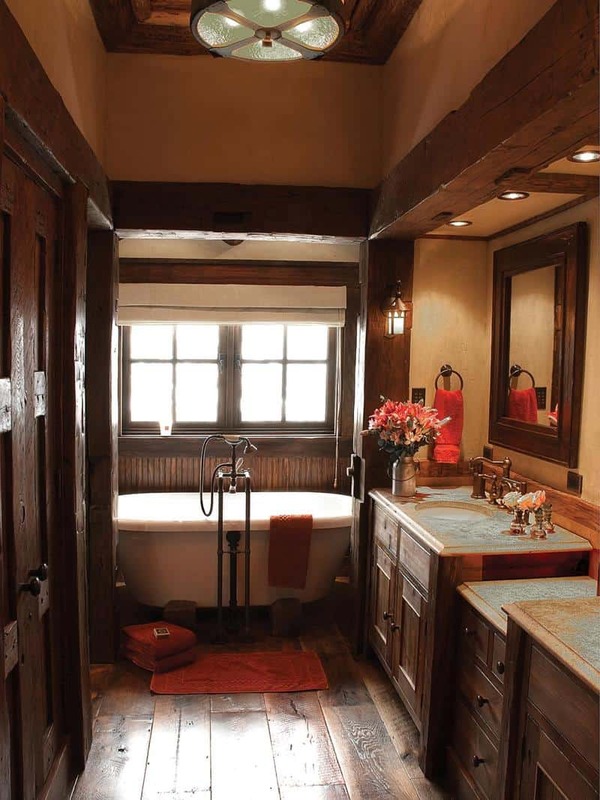 Rustic bathrooms can hold soaking tubs too, with a bit of a vintage vibe of course. Carve out a nook and map out the rest of the space around your focus – where you’ll be taking your bubbles baths obviously. Home Epiphany provides the details around the welcoming design. If you’re inspired by nature or more of a zen style in your home, you’ll want a further peek at this space from HGTV. 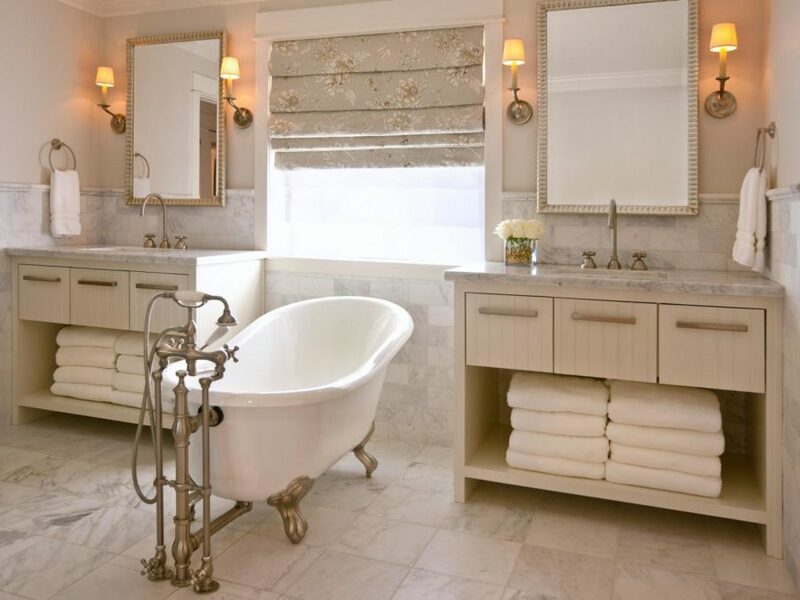 Our eyes are drawn to the background of the tub but also the extra-large, chic designs itself. The bathroom is minimalistic but has all the fixings of luxury. 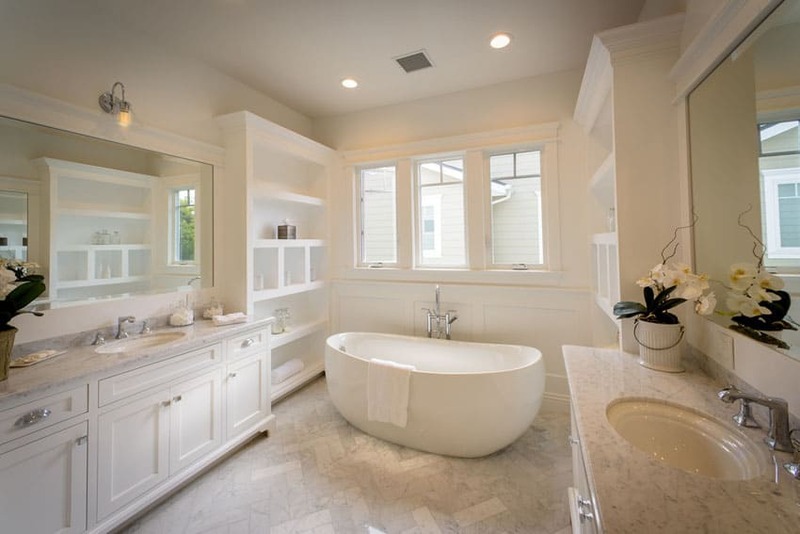 Designing Idea showcased this sweet bathroom full of contemporary and traditional style. It’s a welcoming space that will fit a minimalist vision. 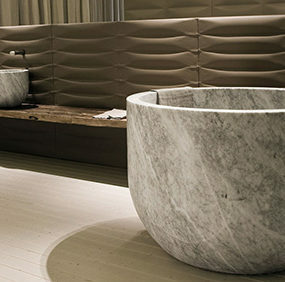 And there, sitting in all its glory, is a gorgeous, rounded soaking tub to relax in after a hard day’s work. You’ll find another luxurious and “zen” space over at Zillow. 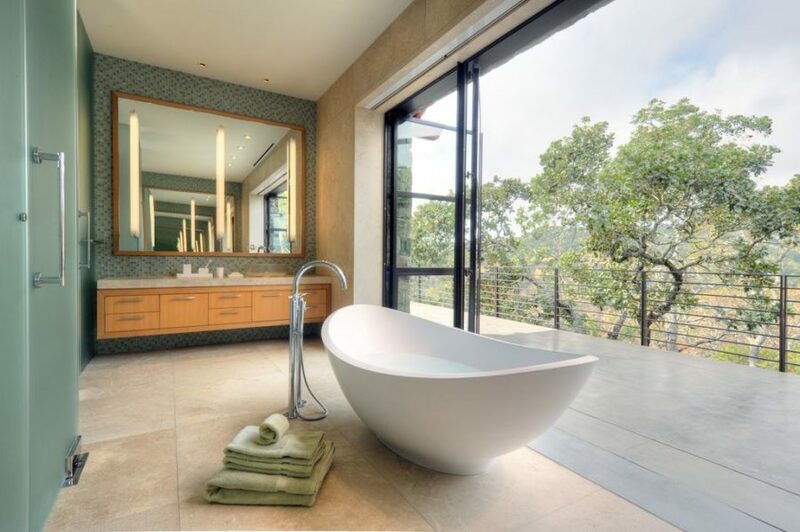 This soaking tub is also rounded but you get a beautiful view with its placement, so it’s hard not to fall head-over-heels with the master bathroom idea. There’s quite a bit of Asian-influence in the overall style here too. 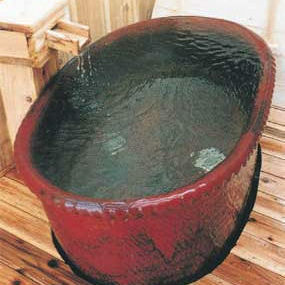 HGTV featured this soaking tub filled with not bubbles but antiquity! Check out the hardware on that beauty! It’s its own piece of art with those gilded feet. 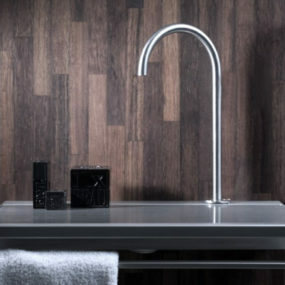 Enjoy the function but also enjoy its presence inside of your spacious bathroom. 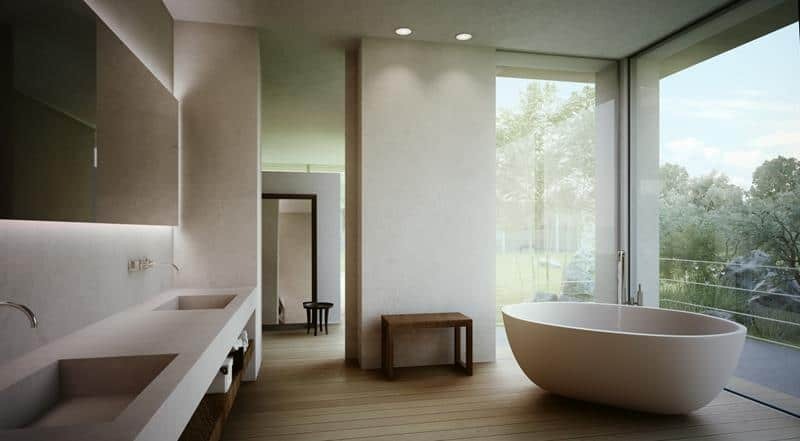 Here’s another minimalist’s dream bathroom complete with a view. Those open windows fill the space with beautiful natural lighting and the illusion of extra length and depth. But that chic soaking tub is where our eyes are drawn. 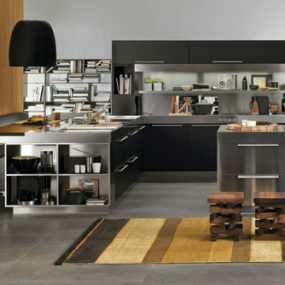 Grab more inspiration for that space over at Home Epiphany. 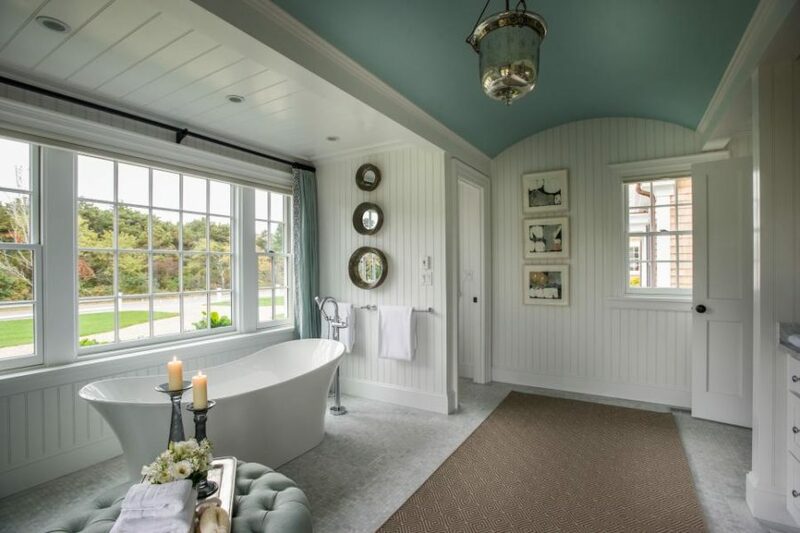 There’s something really welcoming about this cozy bathroom. There’s a mix of southern charm and beach house vibes within the walls and overall decor. 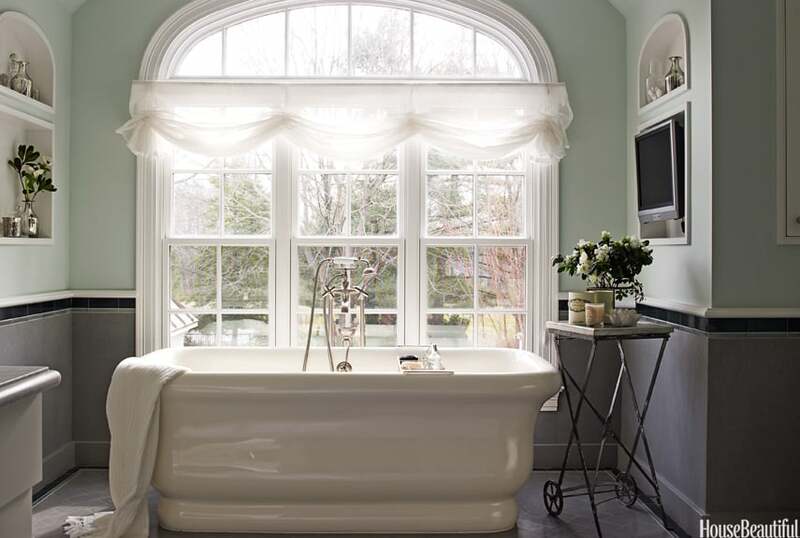 But over by the window in a curved and delicate soaking tub that rounds out the space on every level. Thanks for inspiring us HGTV! 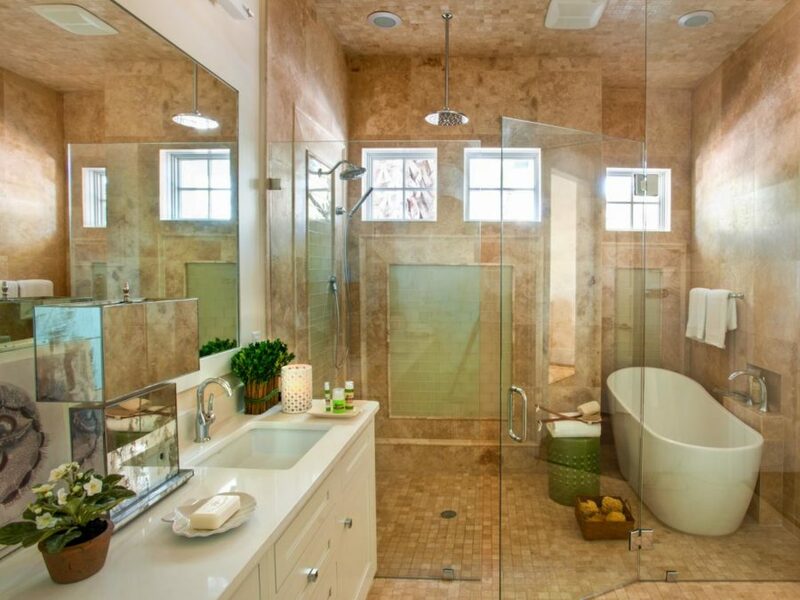 We’re swooning for all the textures found in this bathroom. 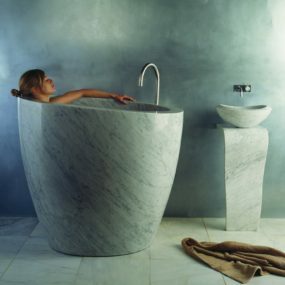 Tile, wood and marble too, it makes that free-standing tub stand out on its own even more! And it’s okay to mix and match so much since you have windows making the room seem even roomier and the light seem even brighter. Check it out at Home Stratosphere. 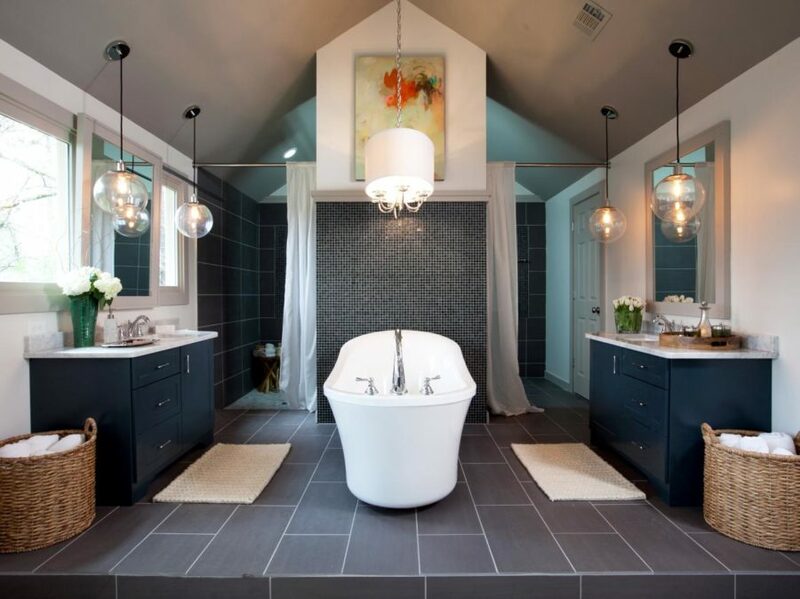 Common Wealth Home Design brings us our final modern bathroom and our final contemporary and sleek soaking tub design. It blends well within the crisp lines of the rest of the space. If you are inspired by slick lines and futuristic tone, then this is the place you’ll want to grab ideas from.